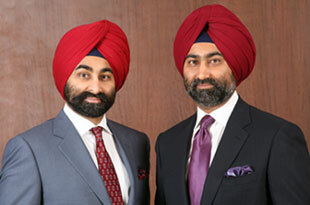 An arbitration court in Singapore has slapped a fine of Rs 2,563 crore ($385 million) on brothers Malvinder Mohan Singh and Shivinder Mohan Singh for concealing facts when they sold their stake in erstwhile Ranbaxy Laboratories Ltd to Japan’s Daiichi Sankyo Co Ltd in 2008. The penalty was decided by the Singapore International Arbitration Centre on a case filed by Daiichi Sankyo in 2013 accusing the Singh brothers of concealing and misrepresenting facts and seeking compensation for the losses it suffered. In a press statement, RHC Holdings, which held a 27% stake in erstwhile Ranbaxy and was one of the respondents in the case, said it will explore legal options to challenge the fine. “All the parties to the arbitration are bound by confidentiality obligations as a part of the arbitration proceedings,” it added. Daiichi agreed to sell to Sun Pharmaceutical Industries Ltd, India's top drugmaker, in 2014 in an all-stock transaction valued at $3.2 billion. The overall deal value was $4 billion including debt, still lower than what the Japanese company paid six years earlier.